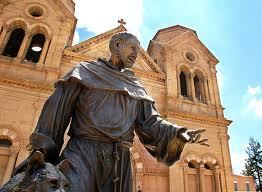 Tour the historic Santa Fe plaza on a Segway, while a guest a Casa Escondida Bed & Breakfast! Casa Escondida B&B is a Santa Fe area bed & breakfast that is located in historic Chimayo, NM (just 35 minutes north of Santa Fe, on the High Road). A guided walking tour of the historic plaza in Santa Fe has always been a common tourist attraction during a New Mexico vacation. However, given that Santa Fe is known as “the city different”, it isn’t surprising that you can now glide around town via your own Segway, while touring the historic Santa Fe plaza! Segway New Mexico now offers guided Segway tours. Your Santa Fe Segway tour begins with a Segway training session. Before you know it, you will be ready to roll through historic Santa Fe with your guide. Your Santa Fe Segway trip is about 1 ½ hours in length (including your training session). Kids are welcome too! The cost of your guided Segway tour is $89 per person. Casa Escondida Bed & Breakfast has wonderful rooms available for your visit to Santa Fe and northern New Mexico. 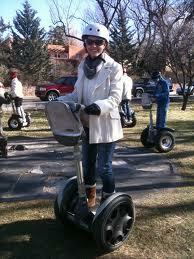 So the next time you wonder what there is to do in Santa Fe, put a guided Segway tour on your list. Casa Escondida B&B is happy to assist you with your reservation.